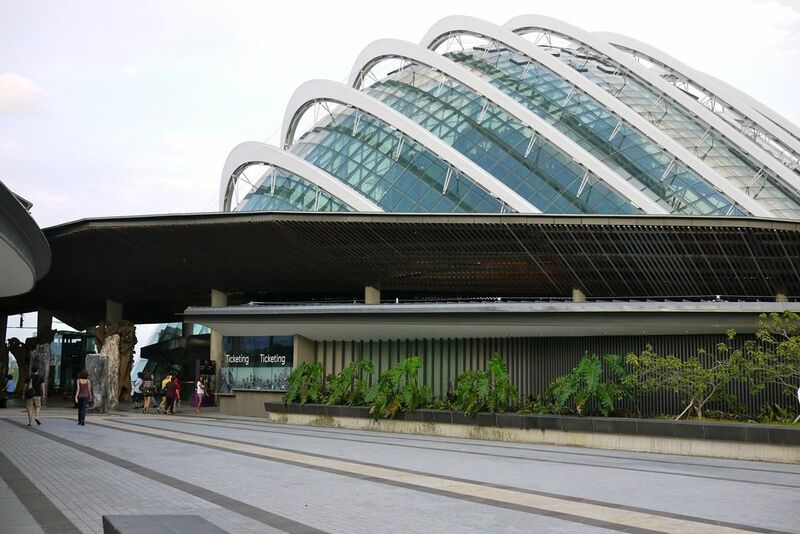 The Majestic Group is pretty well known in the Singapore food scene. 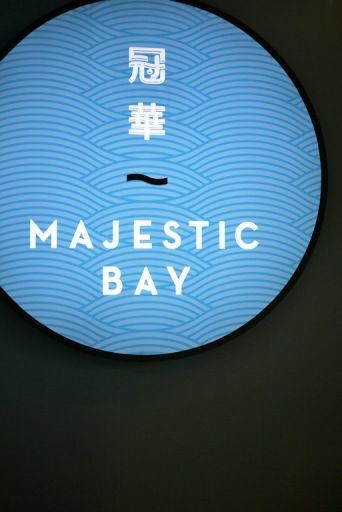 Following the success of Majestic Restaurant and Jing, Chef Yong Bing Ngen, best known for his contemporary Chinese cuisine, has ventured into the seafood restaurant market with his latest Majestic Bay Seafood Restaurant. 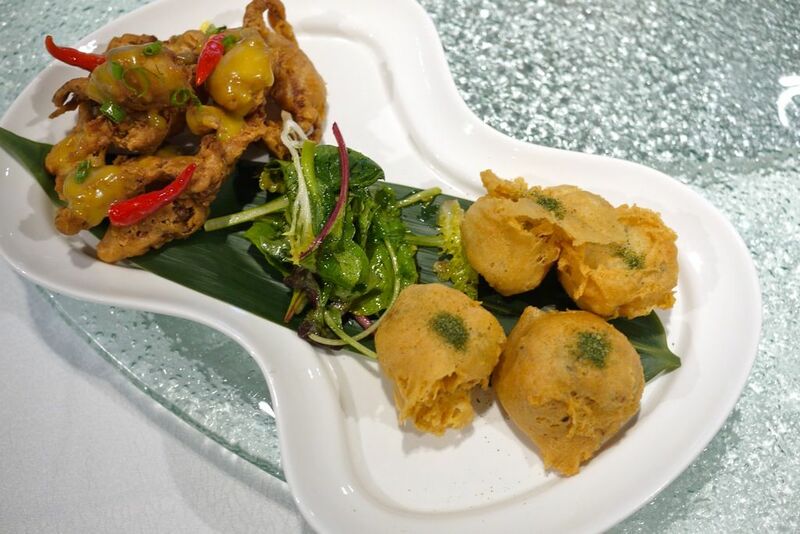 Expect some innovative seafood creations at this family friendly restaurant, which is quite a depart from the fine dining experience at the sister establishments. 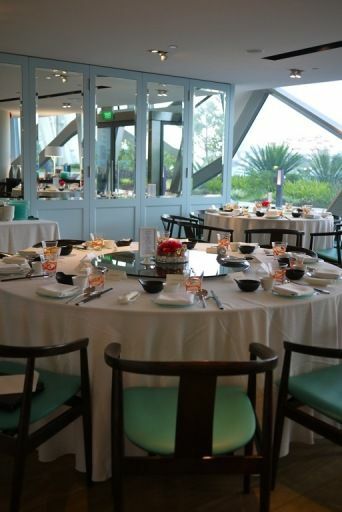 Located below the Flower Dome at Gardens by the Bay, the spacious 110-seater restaurant is brightly lit by the natural light that streams in through the glass panels. Tanks after tanks of lively sea creatures swam around happily, unbeknownst of their fate. Diners would be glad to know their meal would be very fresh. 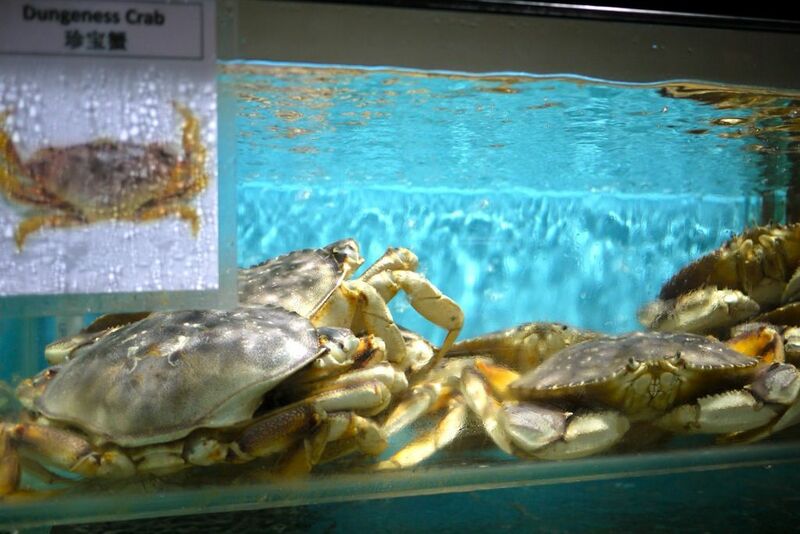 Live Dungeness Crabs are available here as well. Most of the time we only get frozen ones in Singapore so you should check them out if you like this variety. 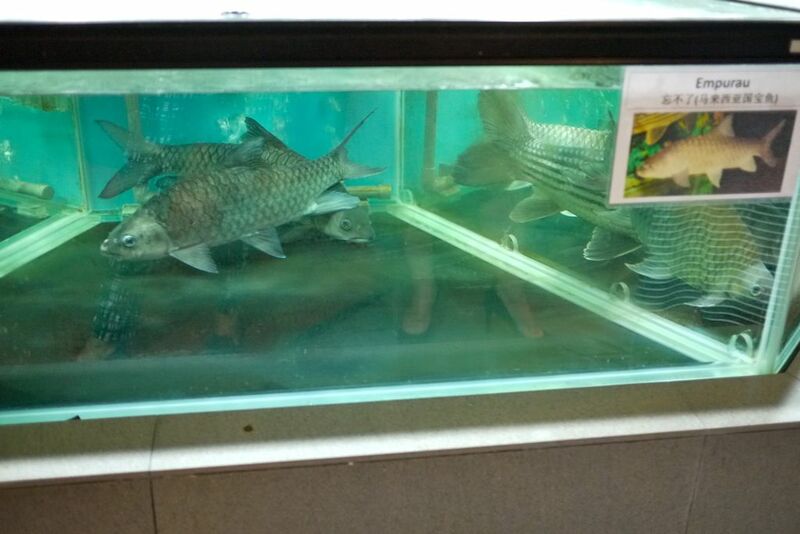 Expensive fishes are quite the staple here and we were introduced to the 4 heavenly kings of freshwater/river fishes. The Empurau, as its name suggests, is the crown jewel of the lot. For a taste of that sweet tasting meat which comes from all the fruits that the Empurau eats, expect to pay $700-800/kg. To kick off dinner, we had the Duo Seafood Combo, 海鲜双拼 ($28 for 4 person portion). Crispy lychee, crab meat, mushrooms; soft shell crabs, lemon butter milk sauce. I much preferred the former, which was an interesting savory and sweet combination. The lychee is also a great tenderizer and i loved how the moist center complemented the airy and buttery crust. The crabs were missing a little of that crustacean taste, probably due to the over seasoning with the sauce and thick batter. 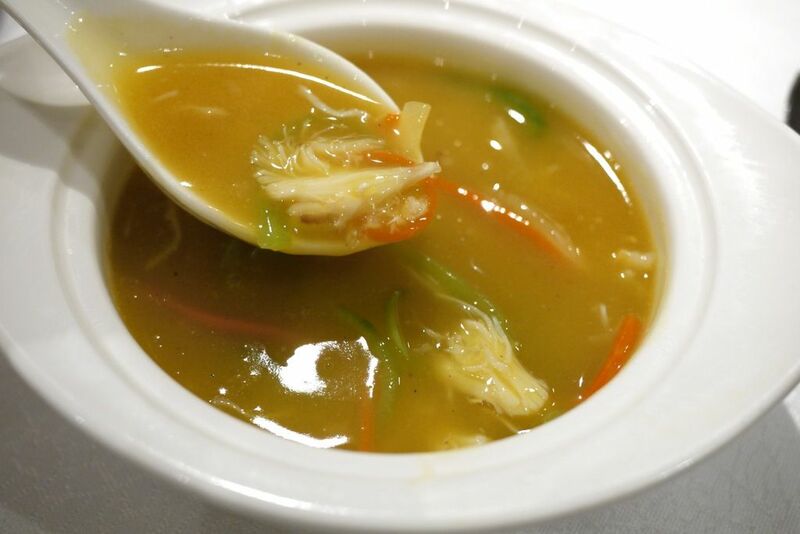 A good gauge of a Cantonese restaurant is by the quality of its soups and Majestic is fabulous that way. The Braised, Ocean Sunfish maw, crab meat, luffa, thicken yellow soup ($18/portion), 金汤翠玉蟹肉太阳鱼唇, was very flavorful. The golden superior broth is made from a duck and chicken stock, blended with carrot and pumpkin and boiled for 6 hours! High quality strips of fresh fish maw and chunks of crab meat are used here. Flawless skin come to me now! Highlight of the night and undoubtedly the favorite dish. 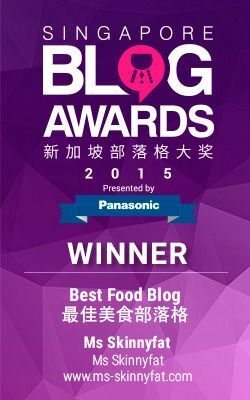 The Steamed Bamboo Clam, 金银蒜蒸竹蚌, (Market Price) was simply divine. The seasoning was really quite simple, leaving the focus on the succulent and crunchy bamboo clams. 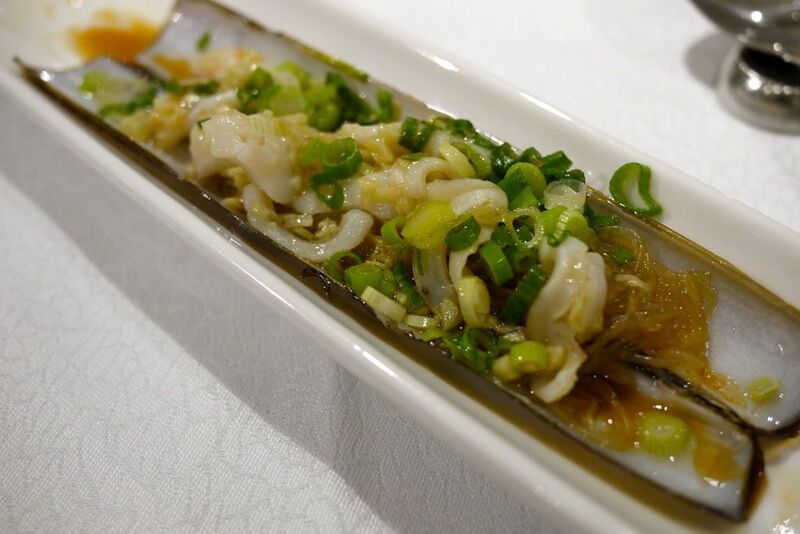 I love how the glass noodles (tang hoon) soaks up the garlic sauce that was flavored with the essence of the shellfish. Give me seconds anytime. 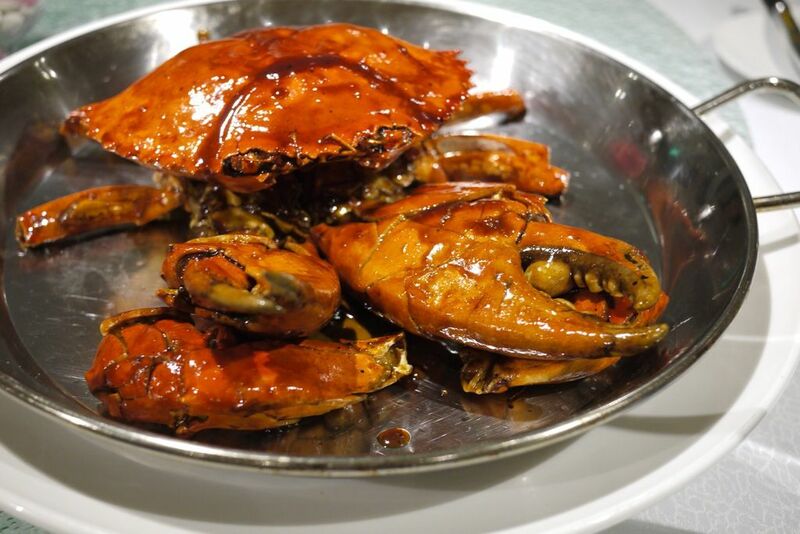 This is the signature "Kopi" Crab, 冠华咖啡焗肉蟹, that has tourists making a beeline to Gardens by the Bay. 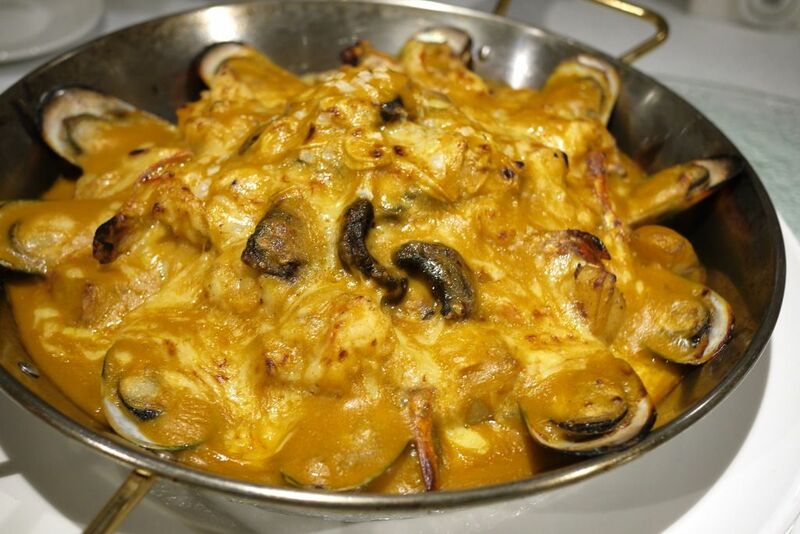 The Sri Lankan crab is cooked with a special sauce made from a blend of 3 different varieties of coffee beans. Marmalade and orange juice is also used in the sauce. 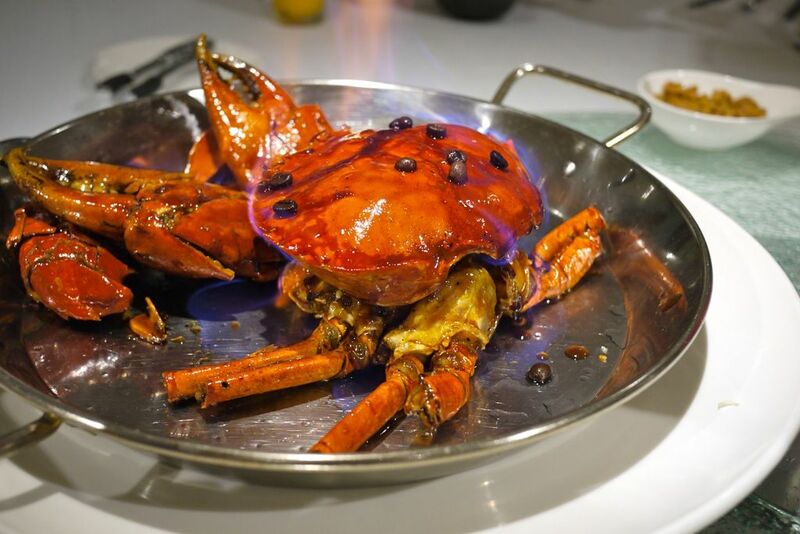 The crab was flambéed at the table with a mixture of rice wine, coffee liqueur and coffee beans to give it that caramel crust. And truth be told, it tasted more like caramel popcorn than coffee. If you like sweet stuff, you may like this crab. As for me, i still prefer the savory ones. The Seafood Baked Rice, 海鲜大烩焗饭, ($68 for 4-6 persons, $88 for 7-12 persons) was spectacular when presented. This is one massive pan of rice piled generously with baby abalones, scallops, mussels and prawns, as well as mushrooms (not the chinese sort). The flavor of the sauce is a mix of Portuguese and Japanese Curry, lightly spiced and savory. 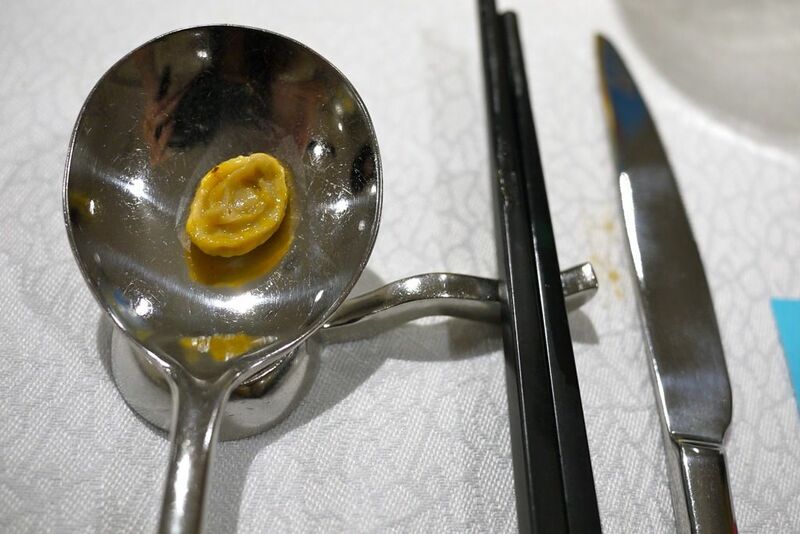 The baby abalones were morsels of seafood that lent a sweet briny flavor with each bite and the pan was filled with so many of them. This is the perfect dish for sharing and we hardly finished half the pot. Save a little space for desserts. If you like variety, the Sweet’s temptation, 甜品诱惑, ($20 for 4 persons) is the way to go. The dessert platter includes 4 different desserts which i felt was very reasonably priced. Start with the lightest tasting Mochi on the top right. Stuffed with fresh cream, chopped mangoes and strawberries, each bite is like biting into a cloud, all fluffy and dreamy. Definitely another favorite of mine. 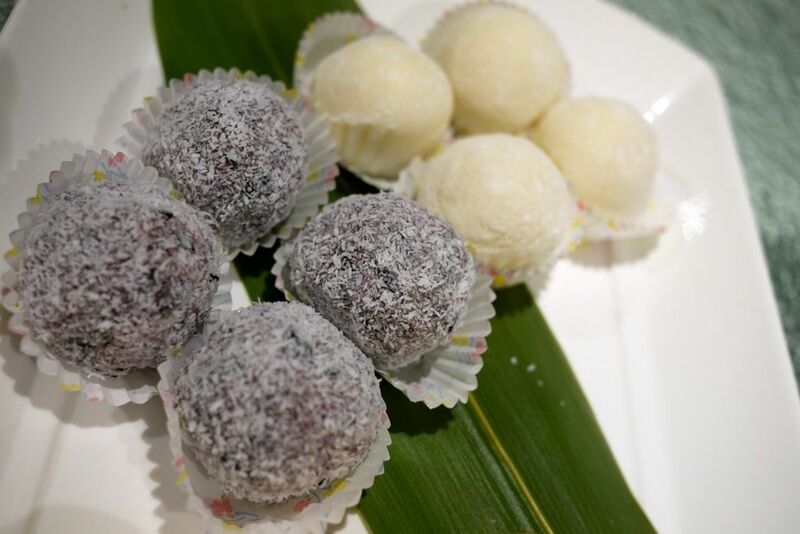 On the left is the Glutinous Rice Dumpling with Yam Paste Stuffing, Shredded Coconut, a nutty blend of solid black glutinous rice with an Or Nee center. Interesting presentation of 2 typically Chinese dessert. While i love salted egg yolk steamed buns, the ones at Majestic failed to impress me. Too little filling and it was lacking in the salted egg yolk richness and taste. The Chinese Red Bean Paste Pancake was so cloyingly sweet that it masks the taste of any other dessert should you make the mistake of eating that first. Overall, it was a pleasing meal at Majestic Bay Restaurant. While i may not be back for the signature dishes like the Kopi Crab, i'd certainly make an effort to check out their lunch time dim sum. 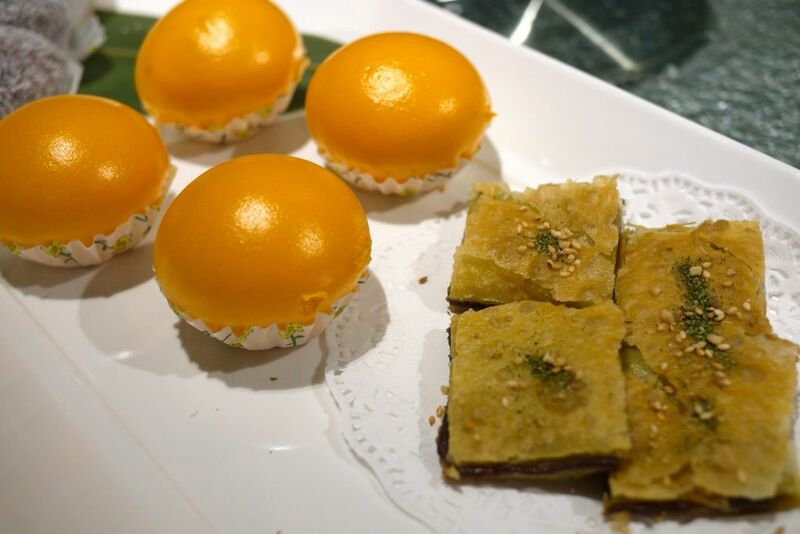 For $28/pax on weekdays and $33/pax on weekends (min 4 pax), it's value for money for a 6 course meal inclusive of a selection of 5 Dim Sum, a soup of the day, 3 main dishes and a dessert. The a la carte prices are also reasonabe. 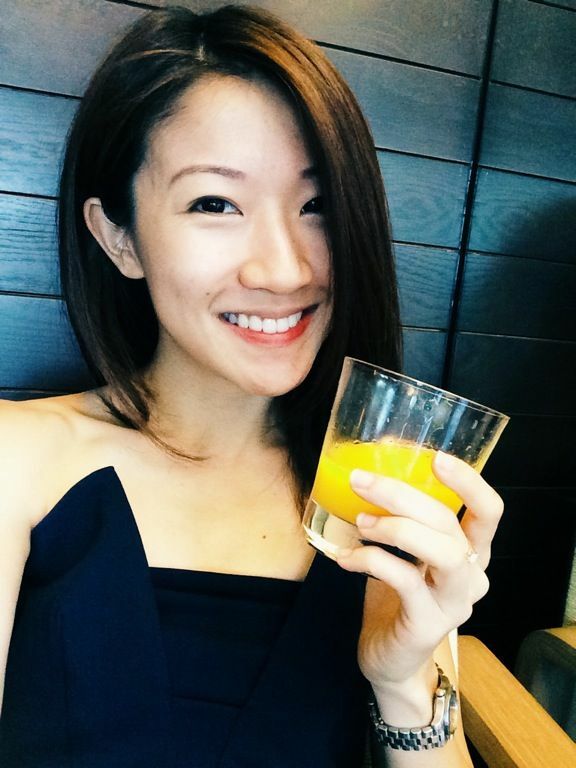 Time to make a booking for dim sum brunch with the fams!